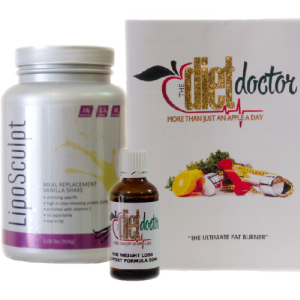 The Change Your Life Diet - The Diet That Works! Home » Blog » Before & After » The Change Your Life Diet – The Diet That Works! Some people have heard about slimming injections or slimming drops,but many are not familiar at all with the actual HCG Diet Plan. HCG is an abbreviation for Human Chorionic Gonadotropin – I bet you are thinking at this stage …. oh dear this sounds complex, but it really is quite simple.The body produces HCG in vast amounts during pregnancy. It’s main purpose is to use the expecting Mother’s stored fats in nurturing the growing baby while keeping the Mom’s muscles toned and strong. When used in weight loss the same function applies it allows you to use your own stored excess trapped fat to nourish your body.This is the main reason why the HCG Diet Protocol is one of the safest and most successful diets for people of all ages. People who follow the HCG Diet Protocol not only follow the specified diet plan but they take the HCG Slimming injections once a day or the HCG Slimming Drops 3 times a day. You decide how long you want to take the HCG injections or drops depending on how much weight you want to lose. If you only have 8 to 10 kilograms to lose then one month on the HCG injections or HCG Drops will probably be fine for you however should have more than 10 kilograms to lose you simply continue taking the HCG and follow the diet plan until you have reached your goal weight and are feeling happy. Unlike other weight loss programs and slimming products that don’t deliver on the promised results. Besides getting rid of that unnecessary unwanted fat, you will experience great benefit from resetting your Metabolism. You will go through a phase where you are eating a healthy choice of foods in much smaller portions if you remember your own excess fat is also nourishing your body and this prepares the digestive system to only need smaller meals in order to keep your body nourished and you will find that after having lost the weight and reaching goal that you will still automatically eat much smaller portions at meals.